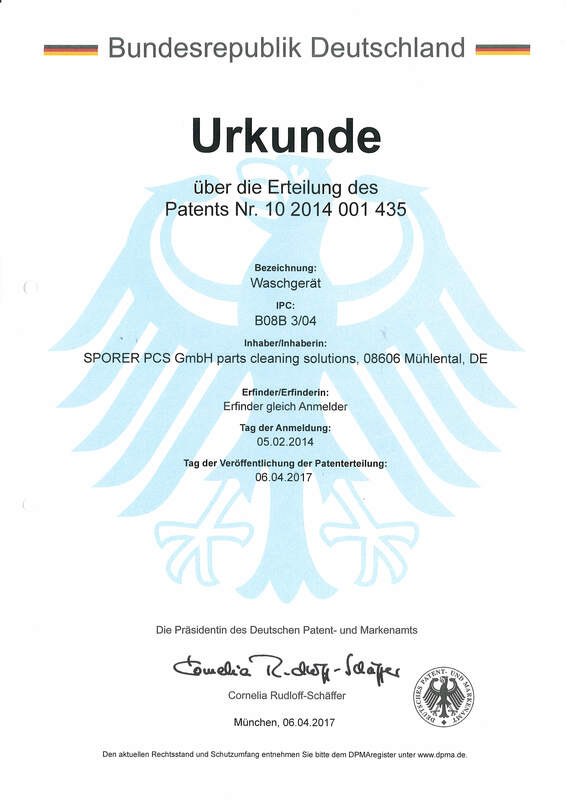 SPORER PCS GmbH is certified DIN EN ISO 9001. Our activity is guided by the satisfaction of our customers - from the idea to the manufactured, powerful and reliable machine - all our processes are orientated on the customer's requirement. Constant quality and customer orientation are self-evident in our company. The key of success is our innovative capacity - documented by several patented technologies, new products and the continuous development of our standard machines. Thoroughly instructed and continuously trained staff grant a high technical competence and reliability. As the departments of construction, metal working and electric are situated in our house, customer's requirements can be realised quickly and efficiently. 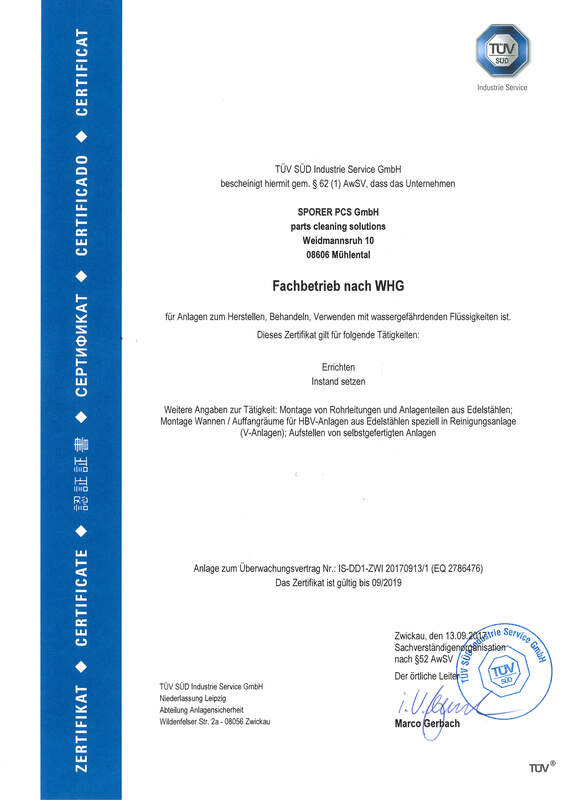 Since September 2017, our company is certified as a specialist firm for WHG (German federal water resources act) by TÜV Süd. All our machines are maid from stainless steel, easy to handle and equipped with high quality components. Each product is tested thoroughly before the delivery. Based on several nationally and internationally patented technologies, the machines are developed and manufactured in our house. The heated machines are equipped with insulation between double-walled stainless steel. This reduces the energy consumption and the operating costs. Powerful pumps with pump heads in stainless steel and high quality seals grant a long operational life.